Economists Ross Levine, Chen Lin, and Wensi Xie have put out an important new paper that unfortunately resides behind the pay wall of the National Bureau of Economic Research (NBER — the folks in Cambridge, Mass. who decide when the U.S. economy is “officially” in a recession, among other things). Levine and his co-authors report that they have econometric (i.e., statistical) evidence linking the intensity of the slave trade, 1400-1900, in different parts of Africa to financial system underdevelopment. They show that to this day, the slave trade increases asymmetric information, i.e., adverse selection, moral hazard, and agency costs, the main banes of financial institutions and markets, and also decreases mechanisms of trust, i.e., key components of financial system development. The paper bolsters the thesis of The Poverty of Slavery: How Unfree Labor Pollutes the Economy (2017), which argues that slavery is clearly inimical to economic growth when negative externalities, like degradation of the financial system, are accounted for. 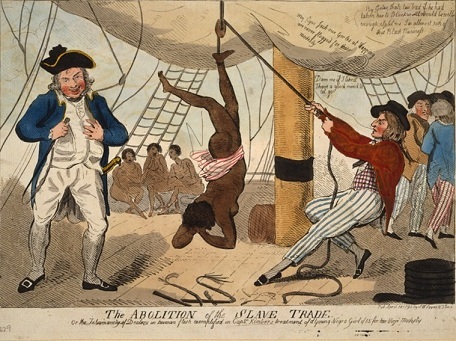 Slavery and slave trading persists to this day, of course, so policymakers must be cognizant of the potential long-term negative consequences that torpid responses to modern slavery may be creating, including financial system underdevelopment or fragility. Our descendants will need robust financial systems to help them rebuild from massive Category “6” hurricanes and other geophysical calamities as much as we do. Dr. Robert E. Wright is the Nef Family Chair of Political Economy at Augustana University. He is also a board member of Historians Against Slavery and the author of numerous books on American finance and slavery, most recently The Poverty of Slavery: How Unfree Labor Pollutes the Economy (2017).